Who would have thought that a 1990s relic would be the catalyst for bringing augmented reality to the forefront? With the resurgence of Pokémon via Nintendo’s Pokémon Go app taking the US by storm this past week, my ears and eyes have grown as big as Pikachu’s! Pokémon Go taps into the GPS and camera on a player’s phone to create a Pokémon world layered on top of they would normally see when pointing their phone’s camera in front of them. The game uses real-life landmarks and businesses as the grounds for virtual gaming journeys, where players have to physically visit the locations to collect items and unlock features on their mobile devices. Real-life experiences: People are eager to merge their physical and digital worlds. This year is predicted as a turning point in the mass adoption of the next generation of immersive digital products, mainly augmented and virtual reality. Mobile is the first screen to the real world, with brands working to get the one-to-one experience via personalized experiences. Augmented reality offers a new perspective to offline branding, bridging the gap between two seemingly disparate environments and bringing us one step closer to virtual immersion. IRL is the new URL: Location-based engagement is the new clickbait. Where online marketing has been the holy grail of guiding the consumer journey, augmented reality has the potential to shape the real-world consumer path. Pokémon Go has proven the power of location-based engagement, driving users to local landmarks and businesses. Some smaller shops have even begun using virtual gaming locations like the Pokémon Gyms and PokéStops to entice customers inside, positioning sponsored locations as an organic marketing opportunity. There is a real opening here for retailers to drive foot traffic with this highly engaged audience. Wouldn’t it be fun to go to your local McDonald’s and be able to unlock unique content, like a rare Pokémon? Going beyond the screen: Creativity is unbound from the mobile screen. 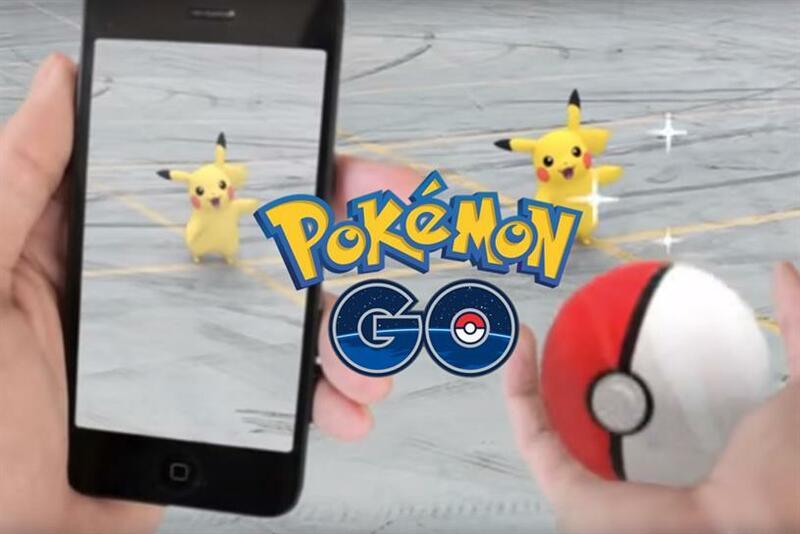 The resurgence of Pokémon as an interactive augmented-reality app is setting a new stage for mobile content creators. Augmented reality has the inherent ability to turn the environment surrounding a viewer into a true creative’s canvas. The lesson learned from Nintendo’s launch of Pokémon Go is to be authentic to the brand’s creative spirit while also adding entertainment value to the consumer. Pokémon Go just opened up a new set of doors for shoppers, travelers and any audiences on the move. Augmented reality is here, Pikachu in tow. Marley Kaplan is head of innovation, USA, Kinetic Worldwide.